I love organic products. Especially those that are fun to make and fun to eat! 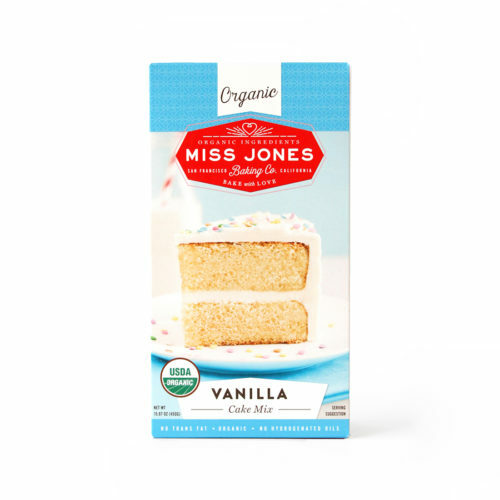 Recently I had the opportunity to try out Miss Jones Baking Co. Products and I was really impressed! Not only by the taste, but the price and variety too! Miss Jones Baking Co. only uses real ingredients, no GMO no Soy, nothing artificial, no junk and always organic. All of the mixes are priced at around $5.99 each, and all you need to make them are the basics like eggs and oil. I found everything SUPER easy to make, and the frosting is always gluten free! You can even make them VEGAN! Use 1/4 cup softened vegan butter, 1 tbsp almond milk, and 1 flax egg (1 tbsp ground flax and 3 tbsp water mixed together. Let rest for 5 minutes). Miss Jones Baking Co. frosting are SO good, and creamy. 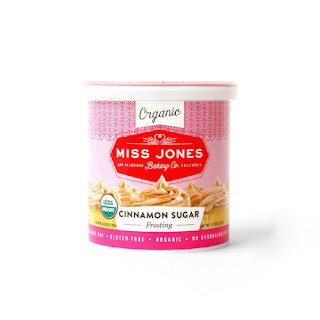 My favorite is the Cinnamon Sugar. I love it on the sugar cookies and the vanilla cake! 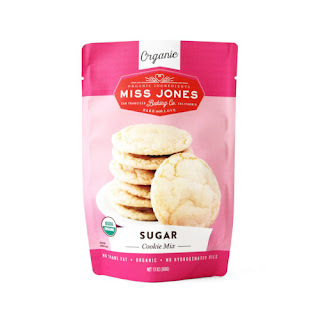 You can purchase Miss Jones Baking Co. Products online here or in most Target stores!